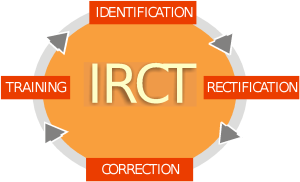 IRCT- Identification, Rectification, Correction & Training program helps in bringing out the best performance from our students by ironing out frequently made errors. This not only makes the students efficient but also gives them ample confidence. This program will be conducted after every competitive model test immediately after Monday’s exam. Dedicated error list of each student is generated by default. Error list is a document that gives an insight into the question wise and subject wise mistakes done by the students in every Monday’s test. A separate period on Wednesday is allocated in the micro schedule to rectify the errors done in the model exams.